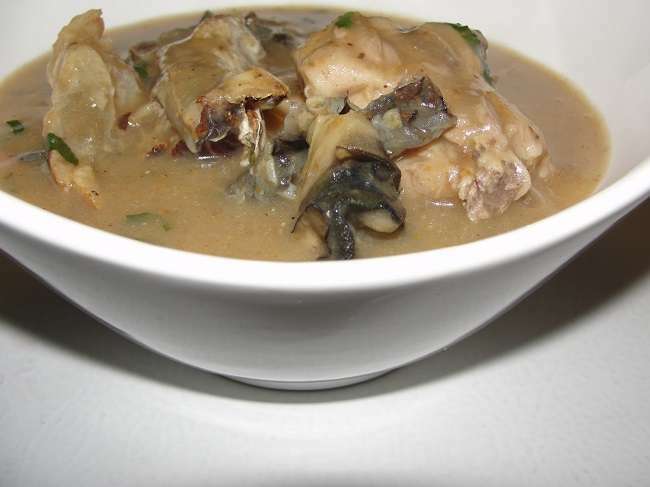 Afia Efere, also known as Calabar white soup is a delicious delicacy that should be on every woman’s meal plan. Try out this sumptuous recipe below. 1. Break the Uyayak pod into two and grind half into fine powder then pour in some water. Pour the mix through a finemesh sieve and set aside. 2. Place chicken into a soup pot with two tablespoons of the crayfish, two tablespoons of the dry pepper, salt and the bouillon cube. Let the meat cook in its own juices. 3. Once the stock starts to dry up, pour some water to the level of the meat and check for seasonings. Once the meat is tender, pour in the sieved liquid from the Uyayak pod into the meat stock and drop the other half into the pot. Add in the dry fish and the yam mash and stir to combine.